When your winter walk turns into a speed hike, the Mens Viking Sky 3in1 Jacket from Jack Wolfskin is what you need. This 3 in 1 combo is extra warm and designed for active outdoor sports. The outer jacket is made of waterproof, windproof fabrics and inside there's a warm, insulated wind shell. The two jackets can be zipped together using the system zip. 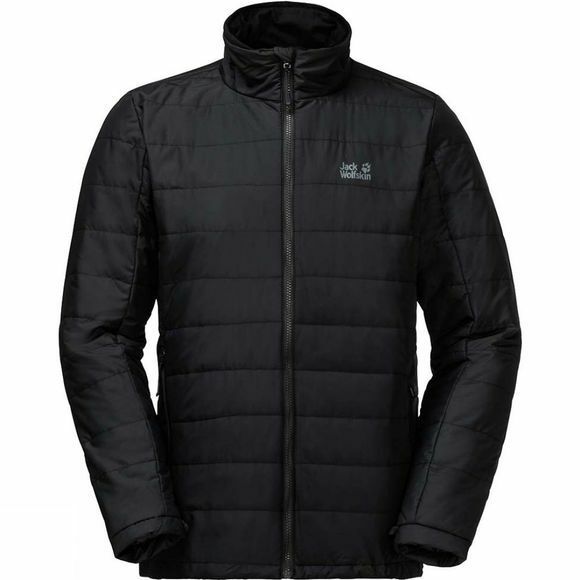 The outer jacket is extra robust and protects you from the rain, snow and wind. It is so breathable that you'll feel great in it all day long–no matter what challenges you set yourself. And when you no longer need it, simply stash it in your pack and keep going in the windproof inner jacket–lighter and faster, but still warm. In situations where you need only rain protection or insulation, you can wear the jackets separately.